You may not even be aware that you are looking for Christ at that moment but you do it anyway. 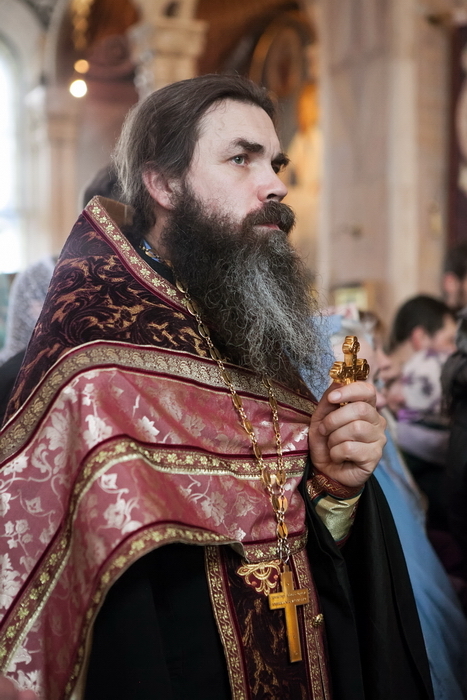 As a rule, it is the time when you start philosophising in a purely scholastic manner but the question that you have to face is always “What for?” It is no sooner than you come to church that your soul can feel genuine satisfaction and inner joy. When you grow stronger in faith, you begin to understand all things, including sorrows of other people and your own afflictions. You want to be in tune with the newly-revealed Divine beauty and to be chaste and graceful inside. It is often impossible to rebuild your life according to the newly-acquired knowledge but you can clearly see that you are on the right track… You are willing to commit your entire life to the incorruptible. That was what my own discovery of the Church and God was like. When I came to carry out my obedience in the church, I spent six more months working in the world, and then I devoted myself to working in the Church exclusively. Life was miserable in the early 1990s. 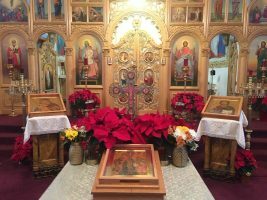 There were no sights of the future glory: the churches that had been returned to the Orthodox by the state lay in desolation. There was no finesse like today but it fully corresponded to the conditions of our souls: they weren’t great, either, so the outward appearance of the churches was in total accord with them. It was a period when both church buildings and human souls were being restored. When I worked in the Academy of Sciences, I grew fond of mountain tourism, ski trips, and kayaking. I had never been into acquiring wealth and new possessions and I didn’t have a knack for them. Hiking in the mountains was a real inspiration and solace for me. I managed to see the Kuril Islands, Siberia, Crimea, the Carpathians, and the Khibiny. We kayaked on the rivers of Belarus. Once I had the chance to do kayaking in Karelia. I got to know my wife during my first trip to the Carpathian Mountains. She did not treat hiking seriously. It was merely a hobby, a way to know and test herself, to learn something about the world, and to build up willpower. Our son inherited our hobby, too: he prefers various activities to lying on a couch. We go mountain hiking in the Caucasus. We like walking, looking around, and talking. I think this pastime does not throttle one’s spiritual life. One needs some time to stop and breathe in and have a rest for his soul and touch the elegance and brilliance of God’s creation. We organise kayak trips around Belarus together with the parishioners. We had a three days long journey this summer but later some people admitted that they felt as if they had spent their entire vacation in that trip because they had had such a wonderful time. In support of the well-known phrase “Moving is living,” I can say that people even get healed of their illnesses. One of the participants of our trip had not been able to raise his arm for two years but he forgot about his health problem while rowing. Arm movements during rowing are different from the commonly used ones, and that was possibly why it helped him. Of course, close and informal conversations are the best part of a hiking trip. Life is not easy. You have to make yourself do something. You keep seeing and realising that you are inadequate to the field that the Lord has put you onto… However, life is even harder when you have no obediences. 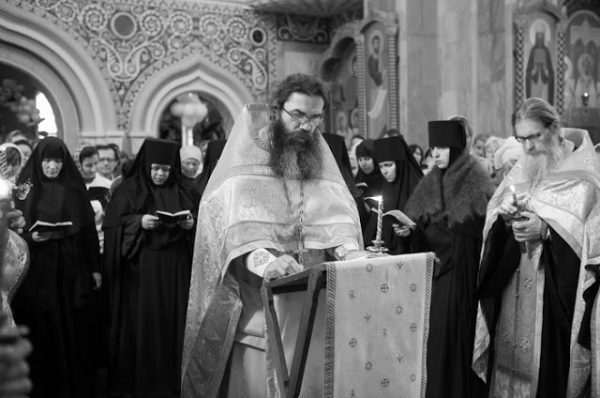 Father Andrew’s Current Obediences: Boarding Home No.3 for Mentally Challenged and Elderly: Chapel in honour of Holy Blessed Xenia of St Petersburg where a Divine Liturgy with the Akathist to St Xenia is celebrated weekly; the National Applied Research Centre of Pulmonology and Phthisiatry: Chapel in honour of St Luke of Crimea; Social Shelter for Children Left Without Parental Care; Spiritual Education Centre of the Belarusian State Medical University, Chapel in honour of the Mother of God the Quick to Hearken; Akathist to the Inexhaustible Chalice icon of the Mother of God. 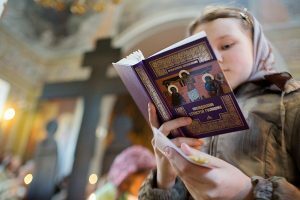 Past Obediences: Spiritual leadership of the Sunday School and the Youth Group in honour of Holy Martyrs Faith, Hope, Love, and their mother Sophia; visits to the Correctional Colony No. 10 in Navapolack; Clinical Hospital No. 2, and the National Applied Research Centre of Mental Health. I have been carrying out my obedience in the Boarding Home for the Mentally Challenged for almost two decades. A small community has formed around St Xenia Chapel during that time. This community consists of the sisters and the brothers of our Sisterhood of Saint Elisabeth; the staff members of the Boarding Home; and its patients. We have learned to share sorrows and joys. It is easier to serve in the National Applied Research Centre of Pulmonology and Phthisiatry because people stay there for a long time — up to six months or even longer — which is enough to become a practising Christian. The children who end up in the social shelter are a different story but it is obvious that our society is recovering. Although drug abuse remains fairly common among schoolchildren, it seems to me that the society improves in this respect. There used to be many juvenile delinquents among the children who ended up in the shelter. Teachers and school boards pay much more attention to children nowadays: if a student misses classes, his or her teacher immediately alerts the school board. They can even send that student off to a special school as a prevention measure. Missing school is a visible sign that something wrong is going on and that it can cause some serious sin. The students who attend the Spiritual Education Centre of the Belarusian State Medical University tend to be in search of the faith already. It is easy to work with them, naturally. We understand each other well. It is much more difficult to work with the student masses, riddled with atheism and scepticism. Few students come to our Centre, and this may be the greatest difficulty with this obedience. There must be a priest who can encourage young people and lead them by his own example. I don’t think I am such a priest. I would like to ask for your holy prayers. What would you wish those who have not met God yet? — I would like them to have that encounter. A person’s life can be divided into two periods: before Christ and after Christ. There is a commonly accepted chronological division between the centuries “before Christ” (BC) and the centuries after Christ (AD, Anno Domini, the year of the Lord). Likewise, every person’s life can be divided into two main periods. I believe it happens to every person: one’s inner life changes when he meets the Lord. One may appear the same, of course, but one becomes completely different inside. That’s the way it should be. May the Lord help all of us! What prayers, apart from the Prayer of St Ephraim the Syrian, would you suggest for our readers to gain the penitential mood, which is so crucial during the Great Lent? 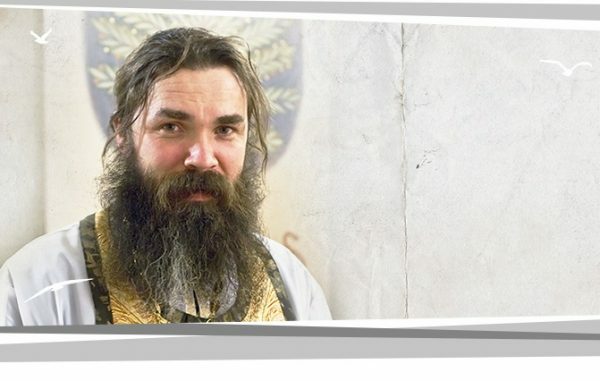 — Listen to a recorded Great Penitential Canon of St Andrew of Crete recited by Metropolitan Philaret (Vakhromeyev). What would you recommend doing during the Great Lent to the young adults and the students whom you counsel? — I advise them to attend church services more often and do their best to avoid entertainment. One should observe physical fast to the extent that one deems useful.